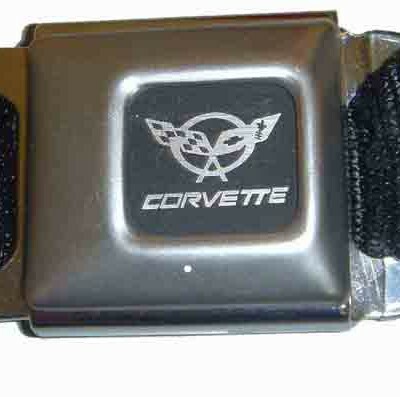 Officially licensed Chevrolet CORVETTE Emblem Seatbelt Belt is made of an authentic automotive buckle system and automotive seat belt webbing. One size fits most: 24 to 38 inch waist . 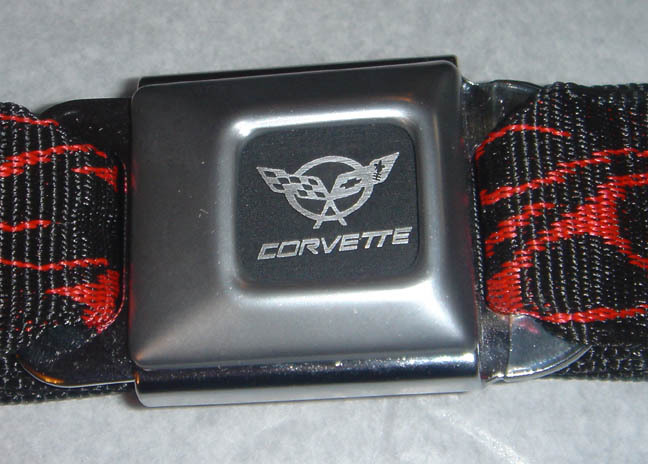 Special order sizes are available or quantity purchases – please email requests.